Happy Memorial Day, everyone! Today I'll be heading back to my roots and doing some nail swatches from a lovely indie called Philly Loves Lacquer. Let's check out the swatches! 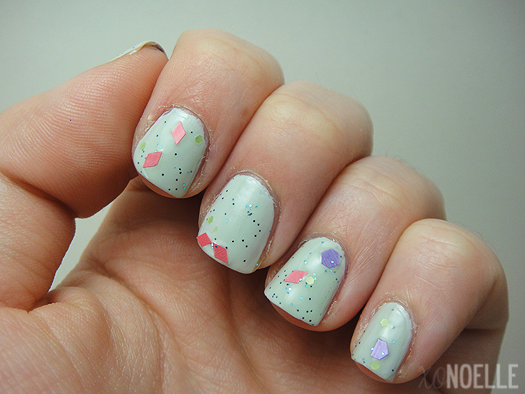 Boathouse Row - a clear base with pastel glitters, hexes and diamonds in various sizes. Boathouse Row's formula was smooth and the right amount between thick and thin although I did have to fish around for a lot of the larger hexes and diamonds. 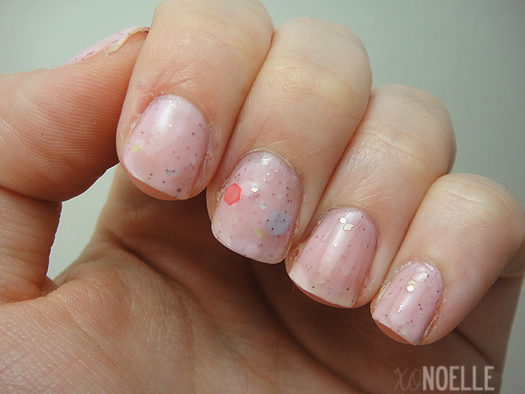 Love Park is a milky soft pink base with pastel hexes and glitters of various sizes. First off, I LOVE the name of this. It's so perfect for such a delicate polish. Formula was amazing and there was no need to fish for anything in this. I think three to four coats would bring this to full opacity. Mummers Parade is a red-tinted jelly with blue and red stars, bars, diamonds and hexes. Talk about the perfect polish to wear for Memorial Day, right? This would obviously look brilliant over a red or black base, but I kind of like it by itself. I think it might take a few coats to build up opacity. I had a little trouble fishing the stars and bars (as in they wouldn't come out, like, at all) out but overall, this polish was smooth and easy. 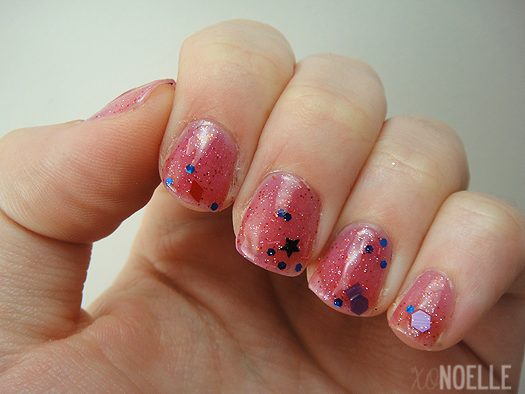 South Street is a simple clear base with blue and purple glitters. Sometimes less is more. I don't know why but this was my favorite with it's extremely smooth and just the right amount of glitter application. With about two more coats, this could be a total glitter bomb. Love it! Facebook / Shop - Price: $10 for full size and $5 for minis. Psst. PLL is moving stock so all full size bottles are only $6 and make sure to pre-order the holo top It's Always Sunny! Also, keep an eye out for phillyloveslacquer.com and a new collection coming out the mid-end of May.